In 2010 and 2011, Fontana experienced 20 deaths from automobile accidents each year. California car accidents that results in a wrongful death, the remaining family needs an experienced personal injury lawyer. The statistics from Fontana, California show that the City experienced 30 deaths from traffic accidents throughout the City. The surprising facts are that most of those accidents did not occur on the I-15 freeway or the I-10 Interstate Freeway. Most of the accidents causing the premature deaths of both passengers and pedestrians occurred on the surface streets of the City of Fontana. In 2011, Fontana had 11 deaths from car accidents. Of those accidents, 2 deaths involved drunk drivers. Pedestrian involved automobile accidents resulted in 5 deaths. 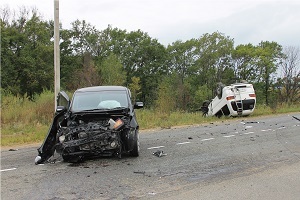 The accidents involved 15 vehicles and 23 individuals. The most interesting factor is that of all these fatalities, they all occurred in the evening hours, 6 deaths occurring, while the remaining 5 deaths occurred in the early morning hours. In 2010, the City of Fontana had 9 deaths as well from automobile accidents. 3 of those deaths from a vehicle collision also involved one or more drunk drivers. Pedestrian deaths only amounted to 2 of those deaths. Once again all these accidents occurred in the morning hours from midnight to noon. Whether a family member has been killed in a car accident or suffered serious injuries from a Fontana automobile accident, it is critically important to consult with an experienced personal injury attorney. Having a local Rancho Cucamonga lawyer representing you or your family, such as the Inland Empire Law Group, will result in having the experience and knowledge on your side necessary to maximize your recovery. While most cases settle before they go to trial, having a trial lawyer on your side willing to proceed to trial will generally lead to a better recovery than an attorney that has never tried a case or has limited experience in the courtroom. David H. Ricks is an experienced trial lawyer capable of handling your wrongful death or serious injury case caused from an automobile accident or from the negligence of another person.